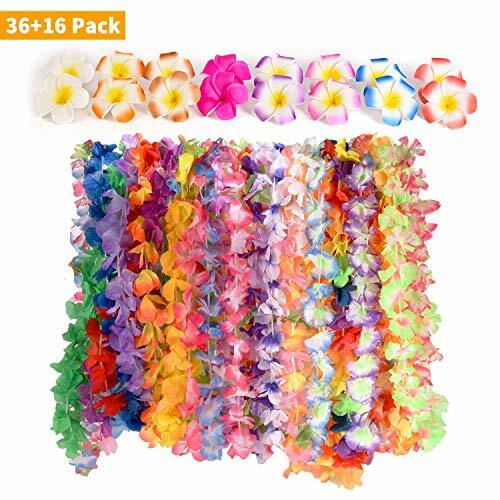 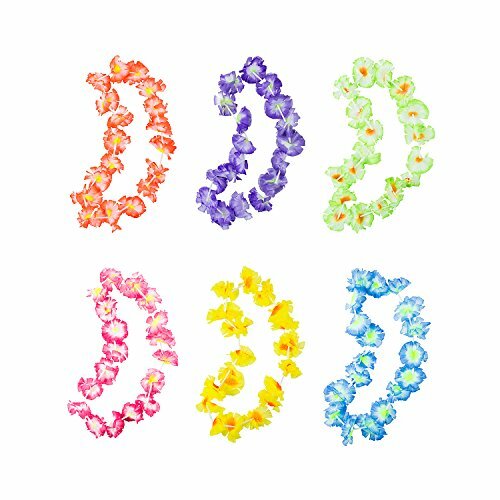 Super Package: Not only pack of 42 luau petal flower leis including 6 different styles,but also12 pieces colorful egg flower hairpins. 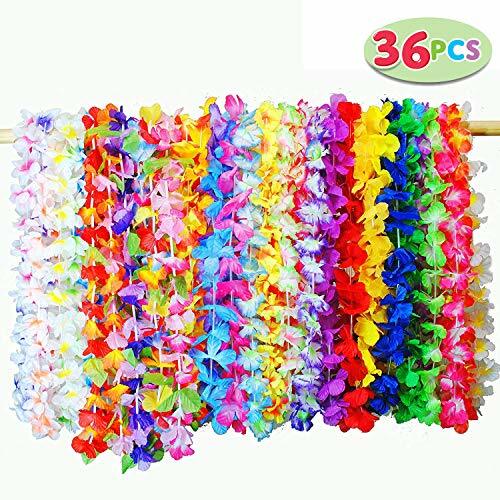 Size: Made with soft and odorless polyester fabric, each of the necklaces has about 42 flowers. 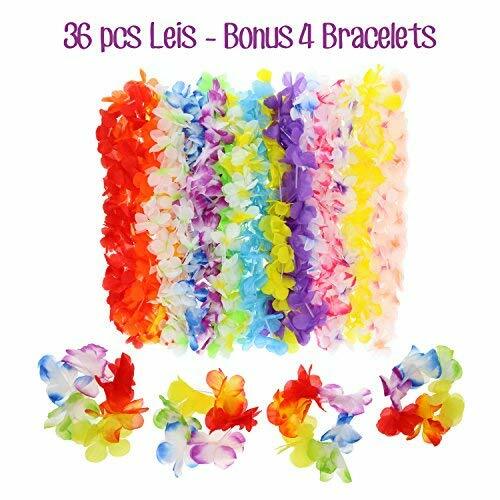 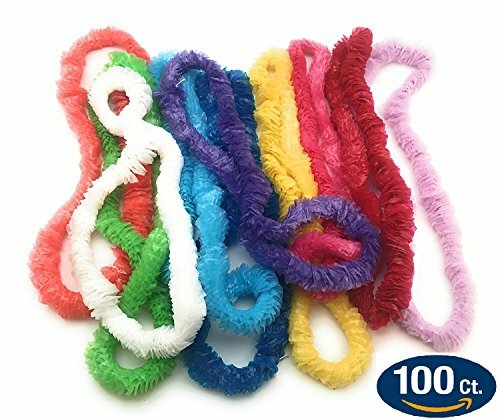 Leis' full size measure approximately 40 inches, perfect for both adults and children alike. 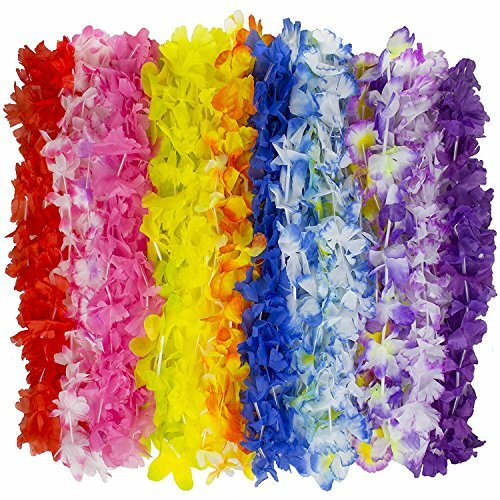 Best decoration: They can be taken apart to make art or use in collage,or make hair clips,embellish clothes,decorate room decor,etc.They're really fun,and there's one in any color you could think of! 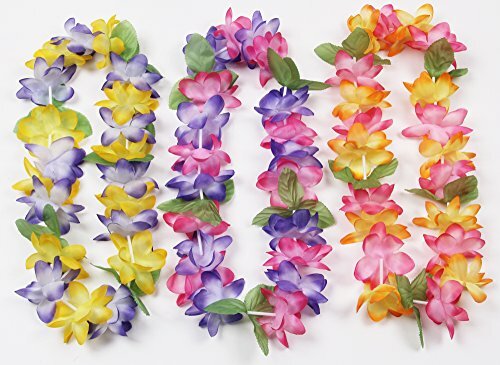 Shopping preferred: Flower Leis Perfect For Luau Themed Parties, Summer Blasts Or Beach Wear. 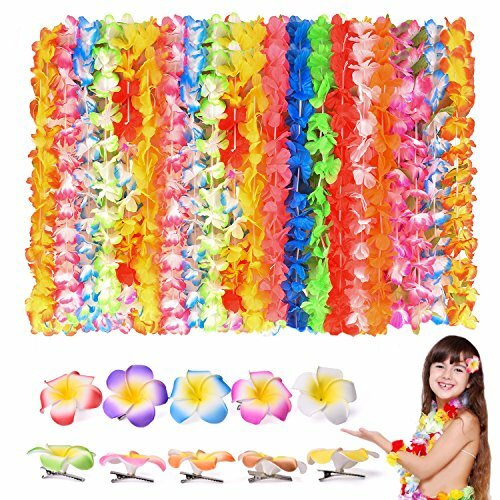 Perfect For Luau Themed Birthday Parties Or Any Luau Event. 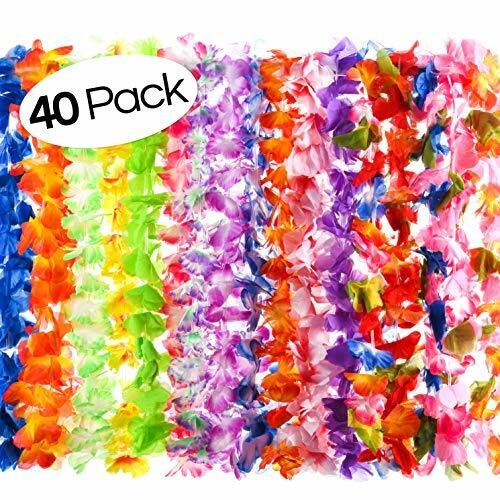 Great for A Luau Costume. 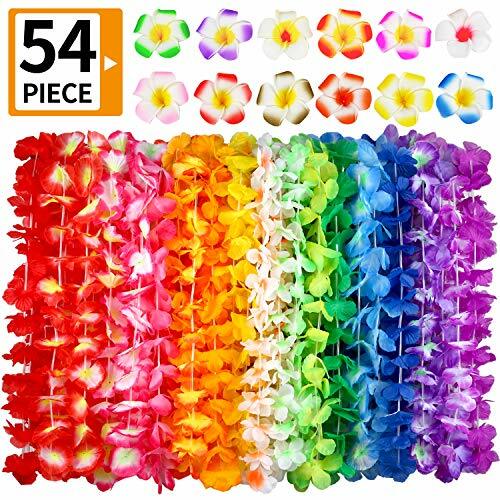 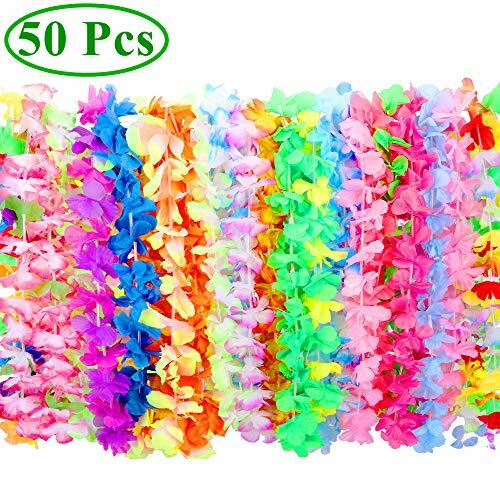 Best wishes for your party Leis flower necklace are perfect for various party.Hawaii leis are also very suitable for graduation and school celebration. 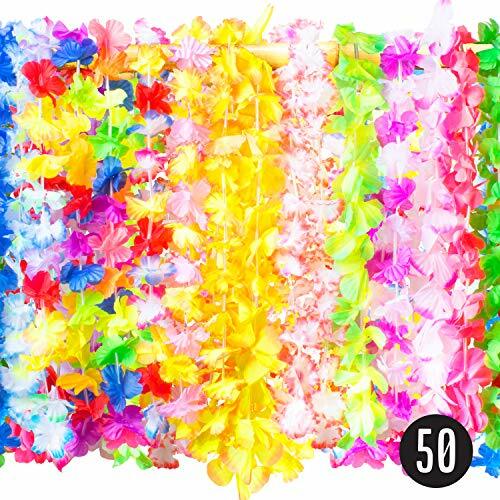 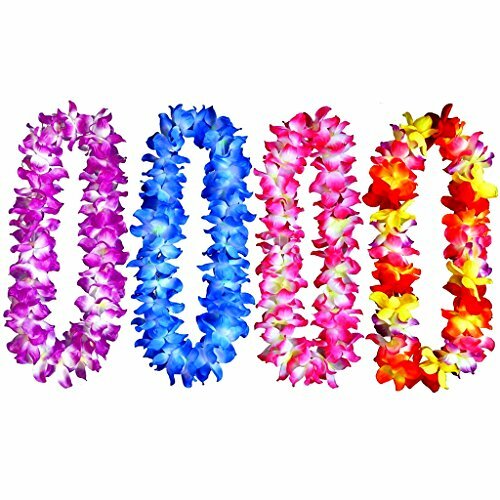 FeaturesQuality: 50 Hawaiian lei flowers. 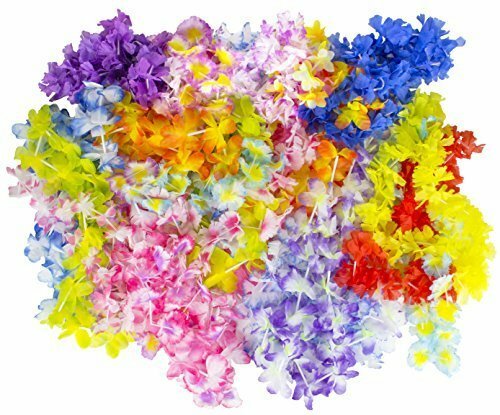 Colors: 25 colors. 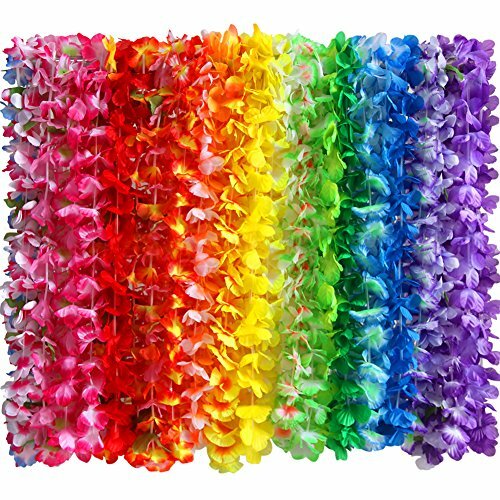 Weight: 0.22 ounce.Length: 36" leis for men.TipsBefore you use these lei garlands, you can put them in the water.